With the top up, these big Cadillac Convertible Sedans seem a little boring. While certainly not ordinary, their four-door appearance belies that true beauty under that hood. With the top down they are magnificent. Can’t you just picture FDR riding around in the back? 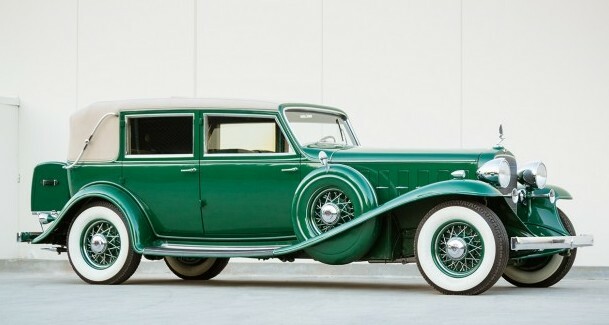 The V-16 Cadillac was introduced in late 1929 for the 1930 model year. It’s one of the greatest American automobiles ever built. The engine is quiet, powerful and silky smooth. It was the first V-16 American automobile to go into production. The 452 refers to the cubic inches of displacement offered by this 7.4-liter V-16 that makes 185 horsepower. The original V-16s were sort of boxy, but by 1932 they were redesigned to be sleeker and this 1934 Series 452-D looks quite Art Deco and windswept. It’s amazing how quickly automotive design matured between 1929 and 1934. This car was bought new by a stockbroker in New York. It was specially ordered and the body was built by Fleetwood, which by this time was part of General Motors. In 1949, the engine was removed from this car and put in a race car. Luckily the chassis and body were kept and eventually reunited with the power unit a little over five years ago. The current owner acquired it in 2012. This huge car is one of not very many – by the mid-1930s, V-16 Cadillac production was down to about 50 or less per year, making this very rare. It should sell in the neighborhood of $450,000-$600,000. Click here for more info and here for more from this sale. You’re looking at what some consider Cadillac’s crowning achievement. At the dawn of the Depression, many car makers were introducing new ultra-luxury cars. 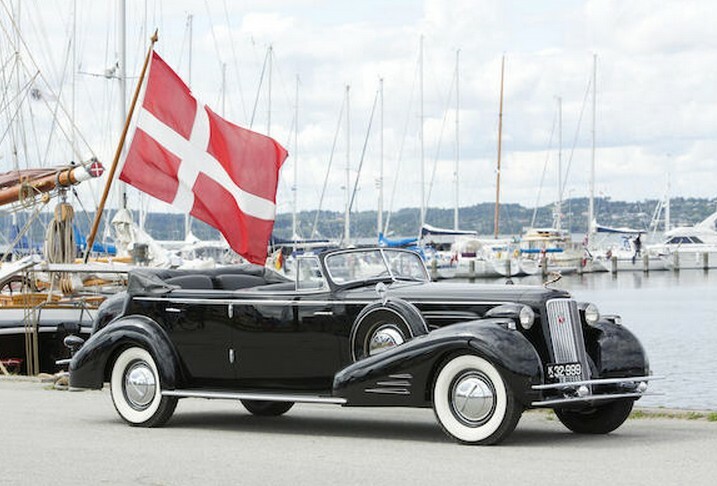 Duesenberg, Marmon, Cadillac and more all had new big-engined cars available. Cadillac brought out the V-16 in 1930. The first generation (through 1937) cars all used 7.4-lilter (452 cubic inch) V-16 engines. And they were all built-to-order. Horsepower is rated at 165 and you could get the car in a variety of bodystyles – more than 70 in fact. This particular car was featured on Cadillac’s stand at the 1933 Chicago Auto Show and was bought off that stand by its first owner. The original owner’s family gifted the car to the Indianapolis Motor Speedway Museum and the current owner acquired it in 2011. Between 1930 and 1940, 4,076 Cadillac V-16s were built – over 75% of which were built in 1931 alone. Only 300 were made in 1932. Only four “Madame X Imperial Sedans” were built. It was one of the most expensive and exclusive versions you could get and it cost around $7,000 when new. Fleetwood, which was part of GM in 1932, built the gorgeous body. This car should sell for between $200,000-$240,000 – which seems like a steal (convertibles are more desirable). You can read more here and see more from Gooding here.